The dunes of Mars... As photographed by the Curiosity rover, which is currently studying them. As always, click the thumbnail to embiggen. 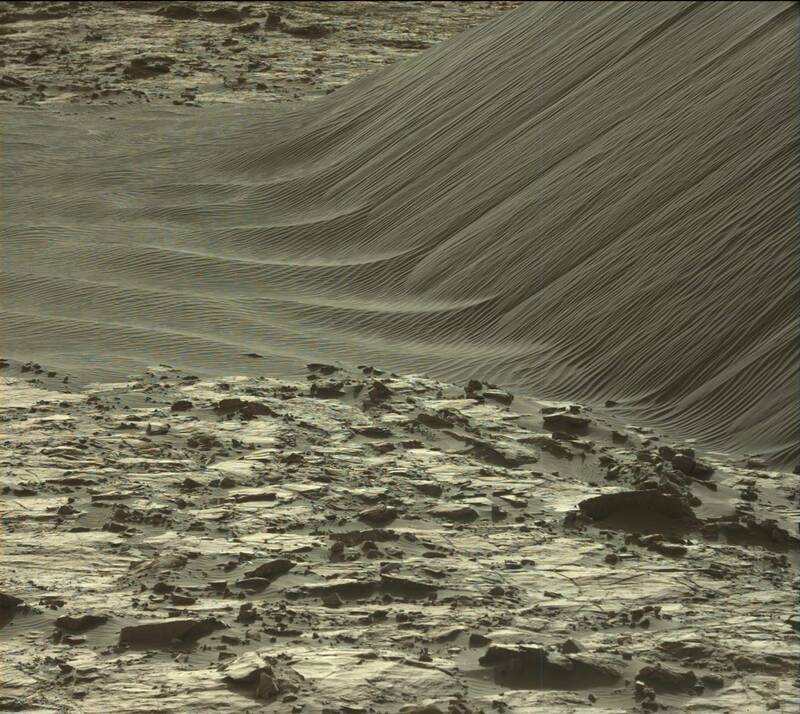 It's interesting to see how different the Martian dunes look – (relatively) tiny ripples, steep angle of repose, and what's up with that flat “foot” toward the left of this photo?